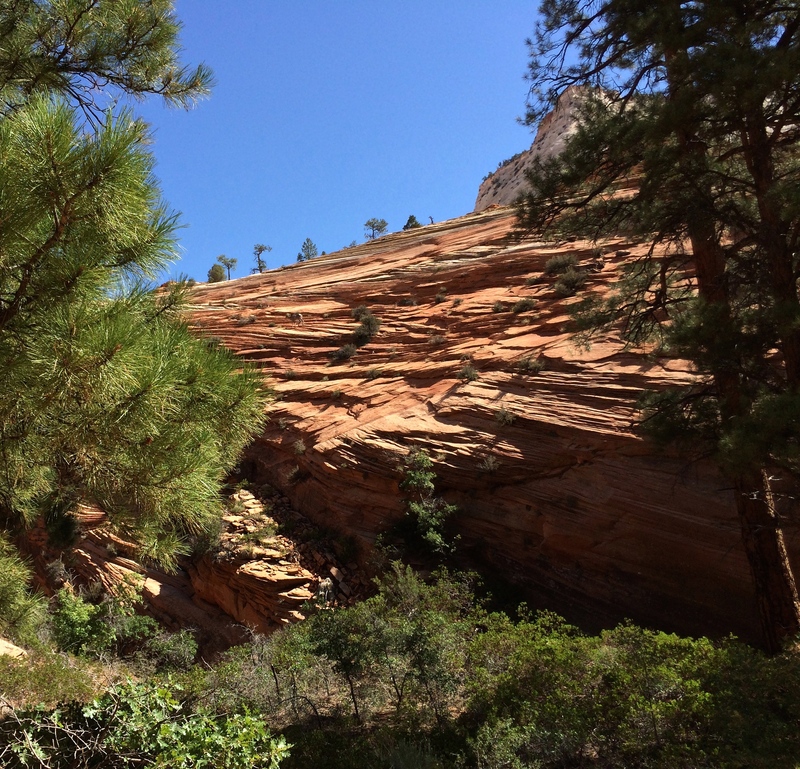 After my whirlwind day in Salt Lake City, my friends and I headed south to Zion National Park for a weekend of hiking, camping, and ogling amazing canyons and buttes. We got there in the early afternoon, and incredibly, there was a campsite left in one of the grounds inside the park. 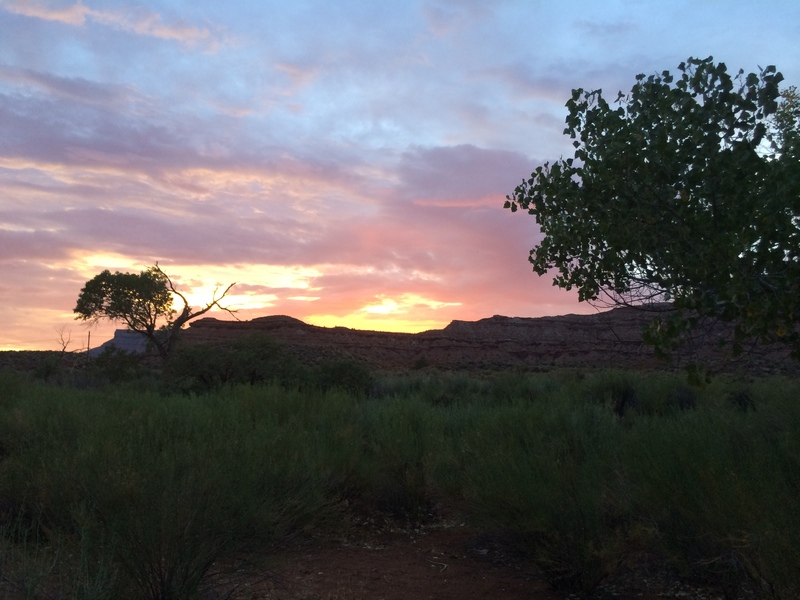 However, we had our sights set on something a little more isolated so we left the man of the camp to stake our claim while the ladies went on a dirt road adventure to find a site on Bureau of Land Management land just outside the park. We found some gorgeous spots and went back for our third to give up the tight-packed campground for something a little more spacious. Exploring on the BLM land yielded lovely views. Especially of the approaching storm. The sunset from our campsite after the storm passed. Unfortunately, it started to rain. Yes, in the desert. I thought for sure this would be the one camping trip the whole summer that didn’t get rained on, but I was definitely wrong. Some of the roads to the BLM land were supposedly impassable when wet, so we set up next to a lovely little creek (after waiting out the storm in the car). We had a delicious dinner of pudgy pie pizzas (if you don’t know about pudgy pies, you need to) while we planned our attack for the next day. 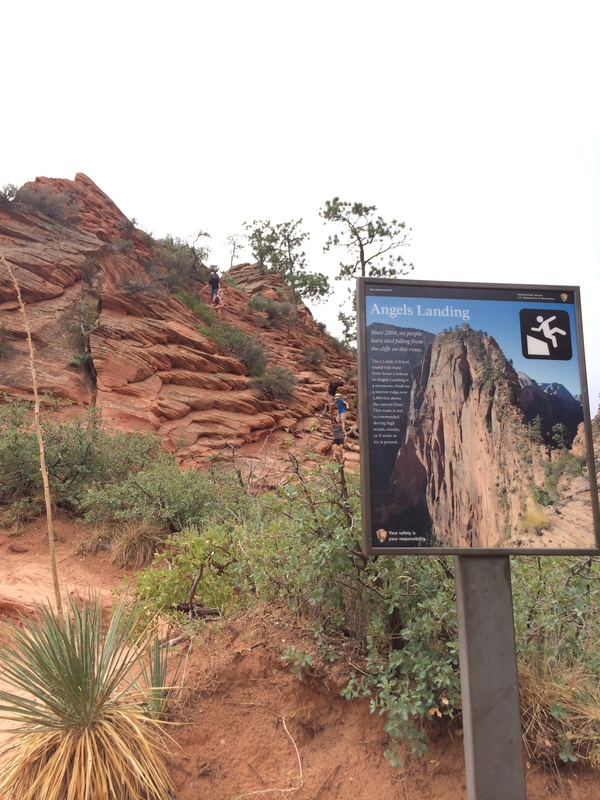 We had only one full day in the park, so to make the most of it, we decided to hike Angel’s Landing. The guide books said it was a strenuous hike with a portion that went up to a peak with chains to hold on to. No problem! We are all relatively fit people and there are handrails! Woah. 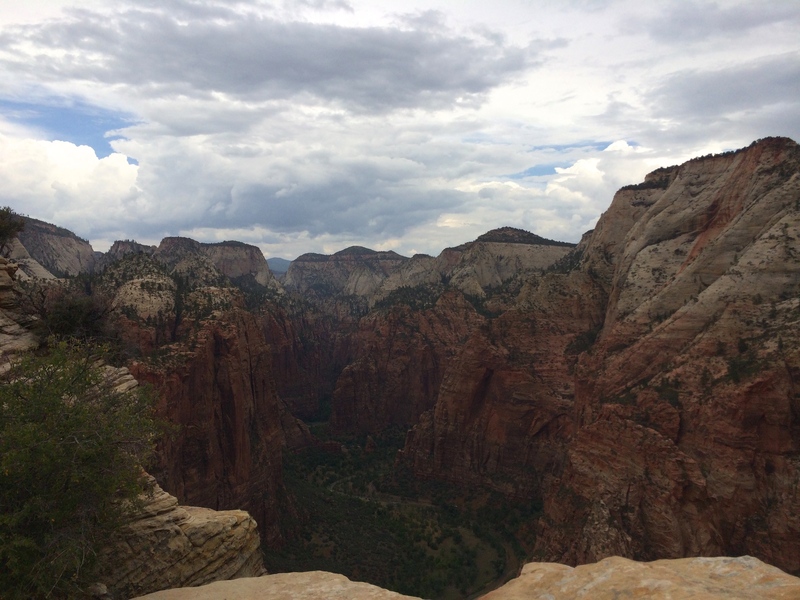 This hike was the most thrilling, terrifying, fun, adrenaline-pumping hike I have ever done. It felt totally insane to be up on the top of a narrow rock cliff with nothing to stop you from falling over 1,000 feet to the bottom of the canyon. The signs at the trailhead about people dying didn’t help. I am not “scared of heights.” I have a healthy respect for them, but I’m not the person who’s paralyzed with fear on a third floor balcony. That did not matter. This was scary. We all had our moments, interestingly at different points for each of us, where we stopped and said, “I don’t know how to keep going.” For me, the scariest parts were the section where there was about two feet of rock to walk on with a sheer drop on either side and no chain, as well as at the top where there was maximum distance to fall. Pictures can not do this path justice. 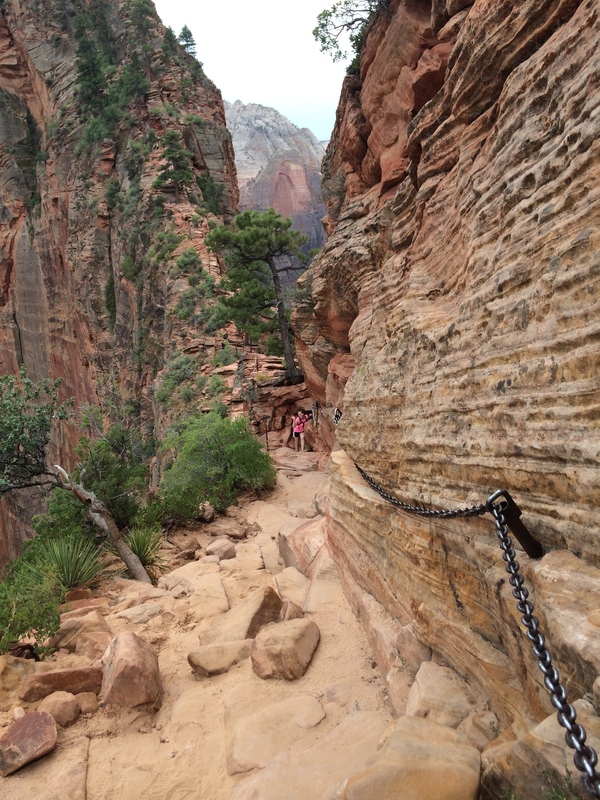 It was an out-and-back trail so as I was clinging to the chain for my life on a ledge as wide as my two feet together, someone else, or rather a steady stream of people, were coming down at the same time. We got VERY close to some of our hiking companions. The worst part was that they all said, “You’re almost there! It’s totally worth it!” It was worth it, I grant them, but we were never almost there! On our way down I understood this phenomenon. Everyone was so relieved to have gotten to the top that it seemed like the way up was a piece of cake! They must have blocked out their moments of sheer panic. Anyway, the view from the top was absolutely incredible. Most of the park is in the valley, so seeing it from this height offered a grand perspective. 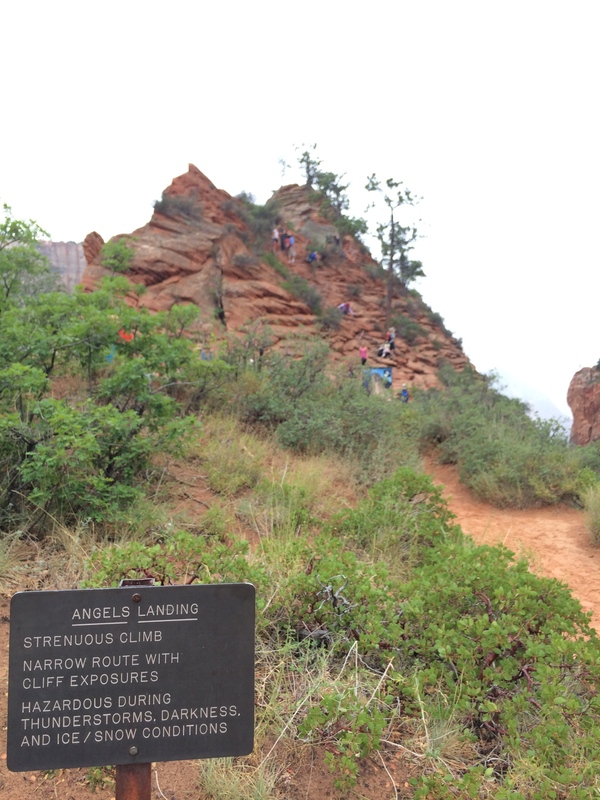 We made our way down with relatively few anxiety attacks and all felt proud to have made it to where the angels land. Feeling the need to sit down, yet wanting to see the rest of the park, we hopped on the shuttle and rode to the end of the road. It was a short walk to The Narrows trailhead. The canyon here gets very–you guessed it–narrow. You can walk the river to where it is even more narrow, but we weren’t equipped for that so we called it a day and headed back to camp. We soaked our feet in the creek and drank some beers and were enjoying the relaxing time when a truck full of rednecks pulled up. It turned out this was not BLM land. It was a private lot that the owner, a friend of the lead redneck, had set up as a campground for nature lovers to use for free, so it was fair game and these guys were playing. They drove in hollering with dogs barking and all we could do was hope they would not camp next to us. Guess what? They did. We talked to them after our dogs had a standoff and they seemed ok…until I saw the handgun sticking out of one guy’s jean shorts. We were in for a long night. They told us they were going to make a big fire in spite of the fire ban and the forest fire we saw in the distance the day before. They managed this by collecting firewood. 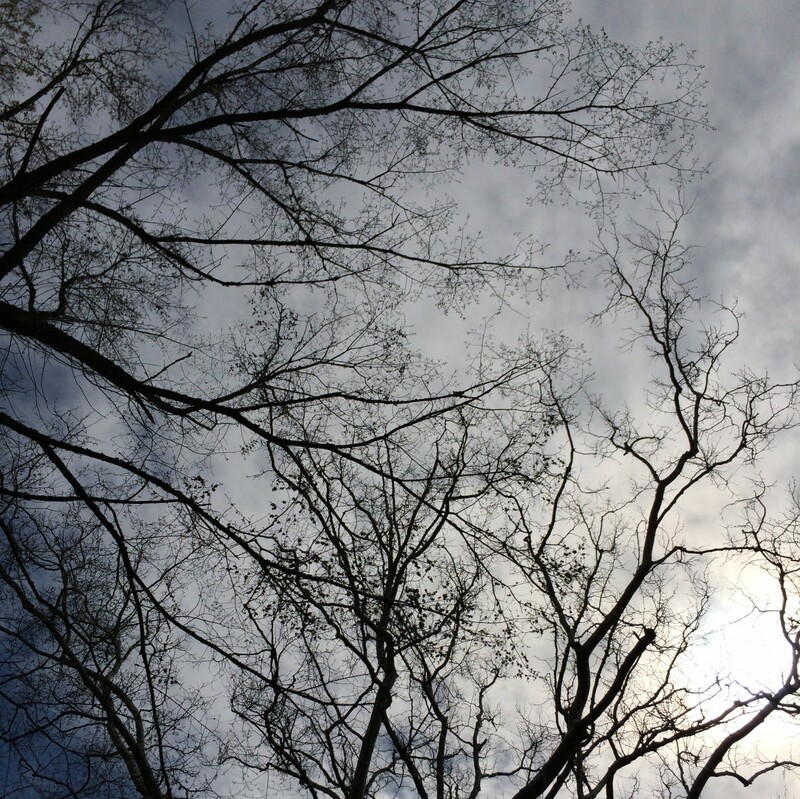 By “collecting,” I mean they grabbed tree branches and whacked them against live trees to break them apart. Redneck hatchet, I guess. The three of us were so tired we went to bed basically as soon as the sun went down. Or tried to. Once the fireworks ended, I thought I would finally fall asleep until one of the guys stumbled into the tree next to my tent during their “camp crawl” to go harass some more conscious neighbors. After I heard them come back through, all was quite and I could finally rest. That is, until 6 am when the fireworks started again! It may have been annoying at the time, but at least I got a good blog post out of it. We left that day through the Zion-Mt. Carmel tunnel which puts you out on the other side of the canyon from where we came in. 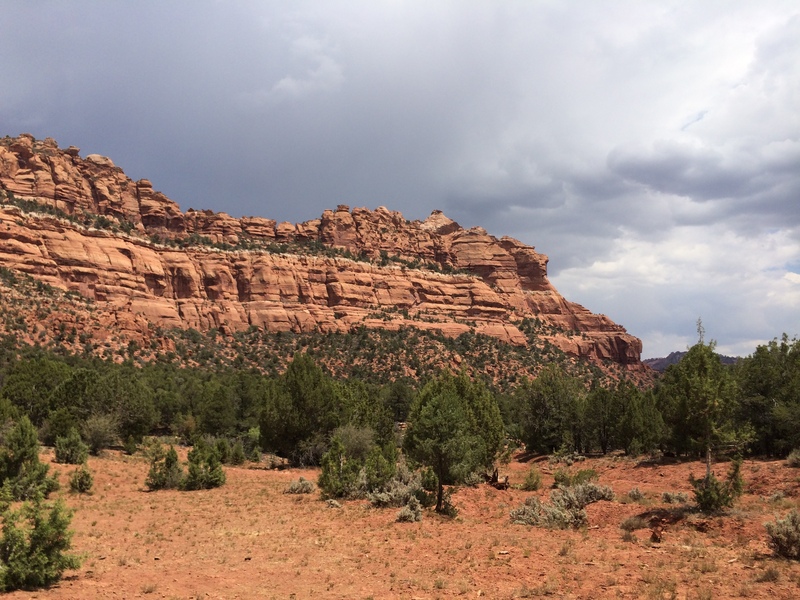 The difference in the landscape was very interesting and we even saw a desert bighorn sheep. Another check on my big game viewing list. We drove the long way home through Dixie National Forest and stopped in Bryce Canyon to check out some of the overlooks and have a picnic lunch, then back to Salt Lake City. I drove back to Colorado the next morning and capped off my sightseeing for this trip with a ride through Colorado National Monument. I will have a photo post of Bryce and the Monument coming soon. 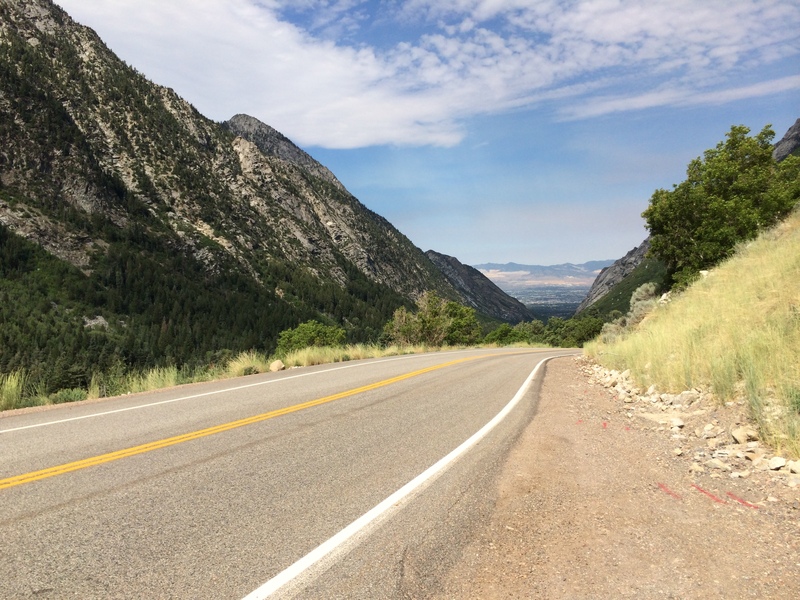 My original plan on my long journey home, if I had the time, was to go from the Tetons down to Utah to visit some friends who just moved to Salt Lake City, then end in Colorado. I didn’t quite make it during the big trip, so I made a plan to go to Utah for a long weekend in late July instead. 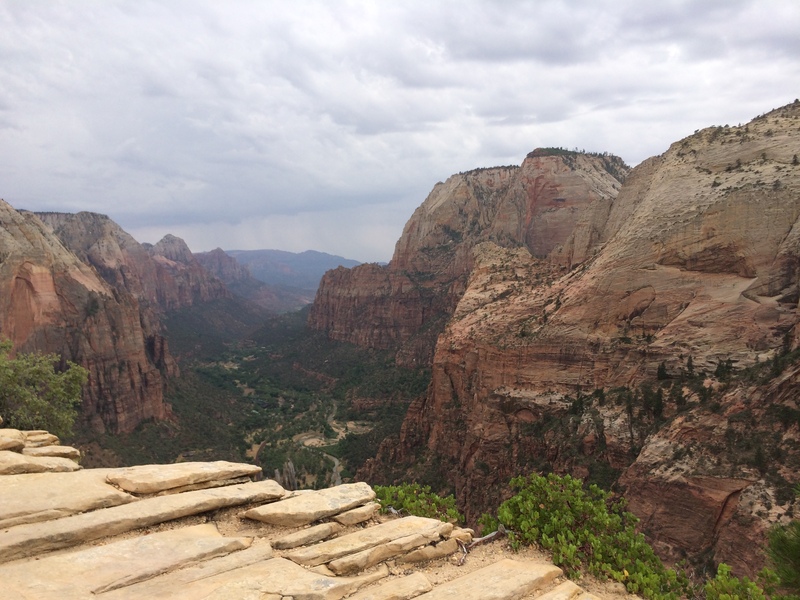 I spent a day with my friend exploring the city, then she, her husband and I went camping for the weekend in Zion National Park. 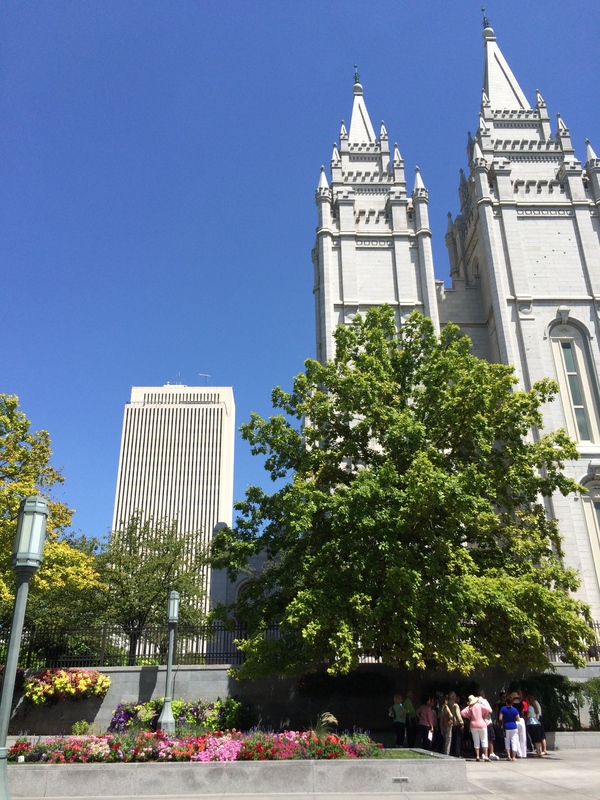 My one day in SLC warrants its own blog post we managed to cram so much in! First, we went to breakfast. Then we took a short car ride up a mountain. Again, these mountains are so different than the others I’ve seen in my travels. This is one of the things I have been most surprised by. Just because they are high mounds of earth, doesn’t mean they’re all the same and each range has had its own character and uniqueness. The Salt Lake mountains are all granite, so they’re high-end and fancy. Just kidding, those are granite countertops, but these mountains were very pretty. 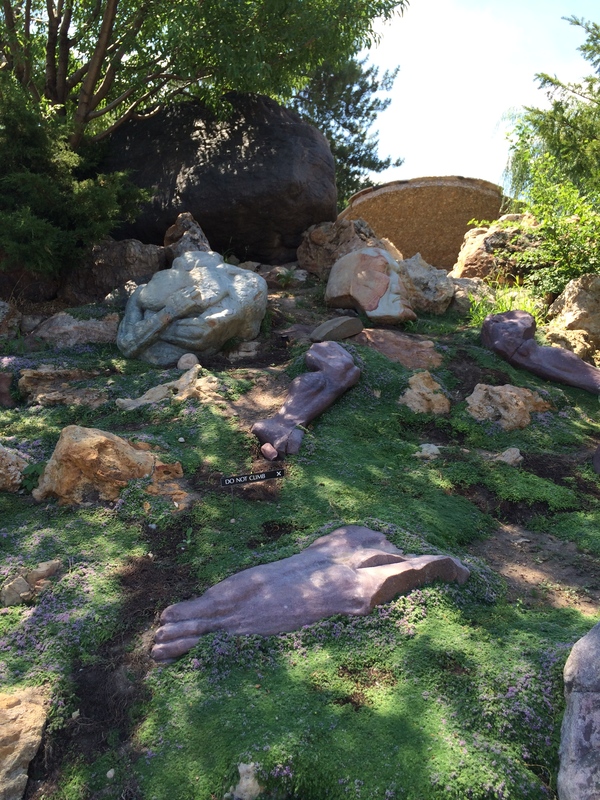 From the mountains we went to the Gilgal Sculpture Garden. 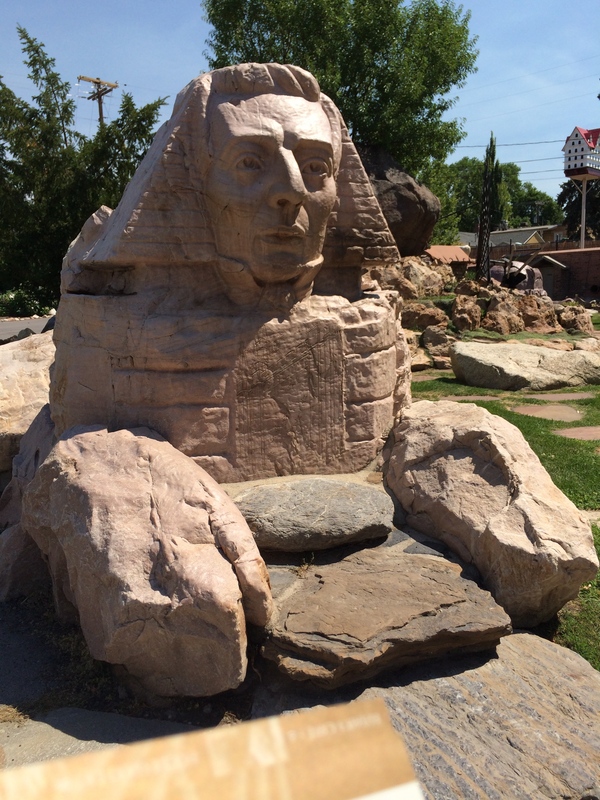 Basically, a mormon mason decided to carve statues in his back yard that were significant to his life and his religion. They were kind of kooky, but it was a fun stop on my SLC tour and I learned a little about mormonism from the descriptions of each statue. The sculpture garden was small so it did not take us too long to get through it and we had plenty of daylight ahead, so we went to the botanical gardens. Surprise! It was free for the holiday I did not know existed, Pioneer Day! Lucky us. 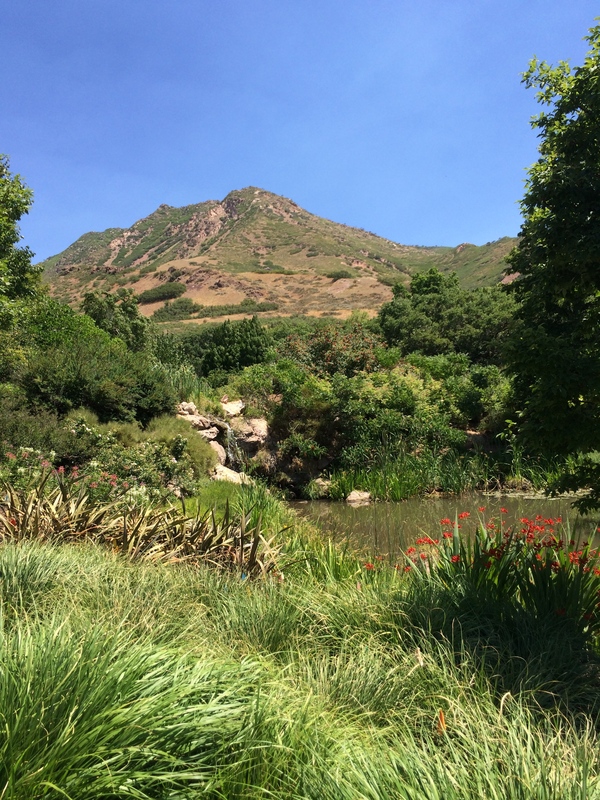 The gardens were lovely, if a little hot. 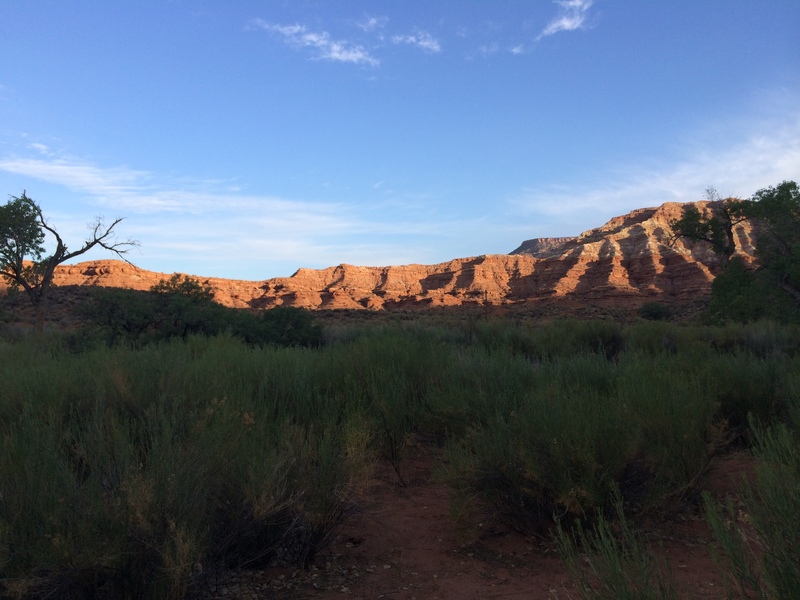 An oasis within the hot Utah desert. We refueled with beverages and pastries then headed to the Temple Square (free parking for Pioneer Day!). After all, when in Salt Lake, do as the Mormons do. I had to see the temple, plus the Tabernacle is an incredible piece of acoustic engineering. Sadly, our coffee interlude meant we missed the Tabernacle organ performance, but we did see a little demonstration by some tour guides during which they ripped a piece of paper in the front an you could hear it clearly in the back of the building without any amplification. I found the juxtaposition between the ornate temple and the boxy office building striking. Since I was just a tourist and not on a religious pilgrimage, we did not spend too much time wandering the cement square (did I mention it was hot?). 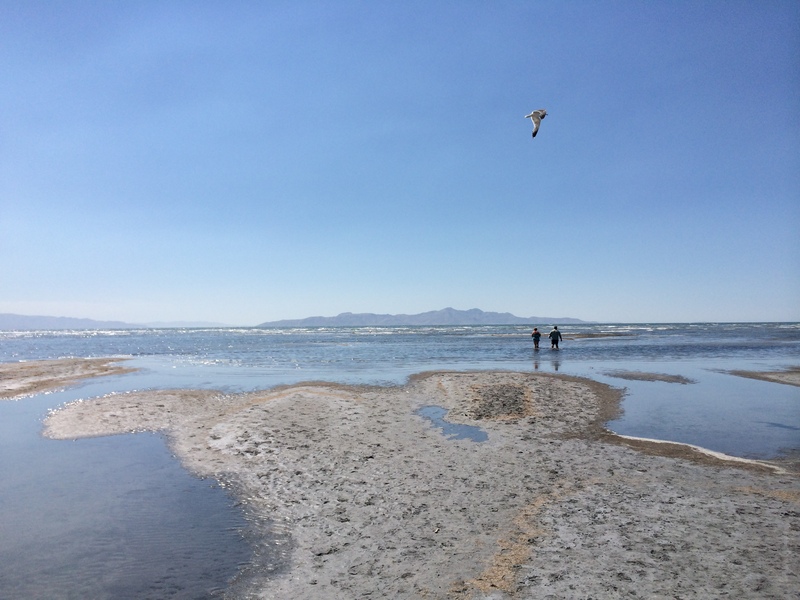 We had one more stop to make before happy hour: The Salt Lake, of course! We went to a state park with shore access and walked out to the water. It was kind of an eerie place. All that water and none drinkable. Some people were going in for a float, but we neglected to bring our swim suits, so we admired, took some pictures, then left. 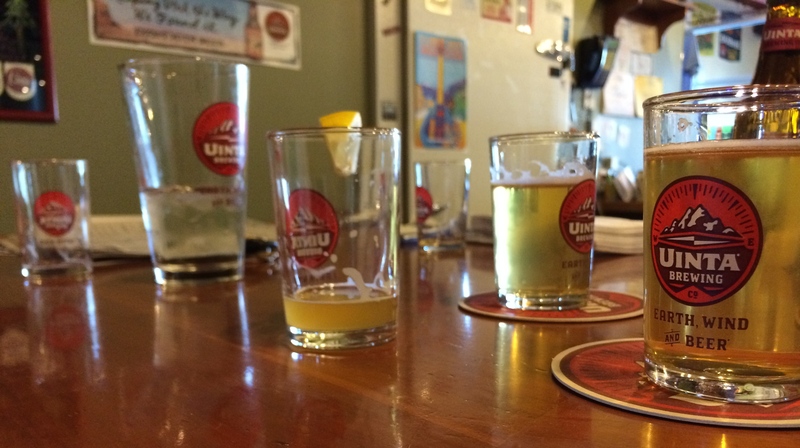 After that, we were pretty tired and ready for a cold drink at Uinta Brewery. Utah has weird alcohol laws that mean no one can have any beer on tap over 4% alcohol content, so I couldn’t get my favorite beer of theirs, but I tried all the others and they were tasty. Overall, it was one jam-packed day of Salt Lake fun!